We all want bright and radiant skin for the summer months of the year, when we typically wear a lot less base makeup. This mask from Korean X French brand Erborian promises all of that, as well as a dose of hydrating and conditioning skincare. For this week’s Face Mask Friday post, I’ll be taking a look at their Blanc Brightening Shot Mask. 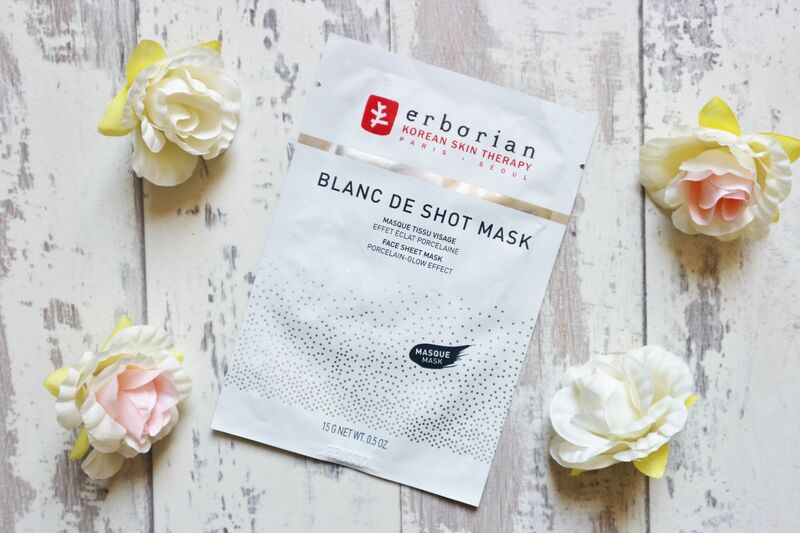 The Erborian Blanc De Shot Brightening Mask (£6 from Erborian) is a sheet mask that you wear for 15-30 minutes, letting the serum it is soaked with absorb into your skin. Erborian say that each mask is soaked in half a bottle of serum, so you are giving your skin a real boost of goodness. It promises to illuminate the skin, reduce uneven skin tone, and hydrate. The serum it is infused with contains Paesonia Albiflora Root Extract to brighten and soothe, the antioxidants Poria Cocos Extract and Licorice to soothe and protect the skin, Niacinamide to help brighten the skin, and Sodium Hyaluronate to moisturise. The key ingredient is the Paesonia Albiflora (or Paesonia Lactiflora), aka an extract from the White Peony flower. There have been scientific research studies, and papers written, on its effectiveness at brightening the skin and treating skin pigmentary disorders. It’s used in traditional Chinese medicine. 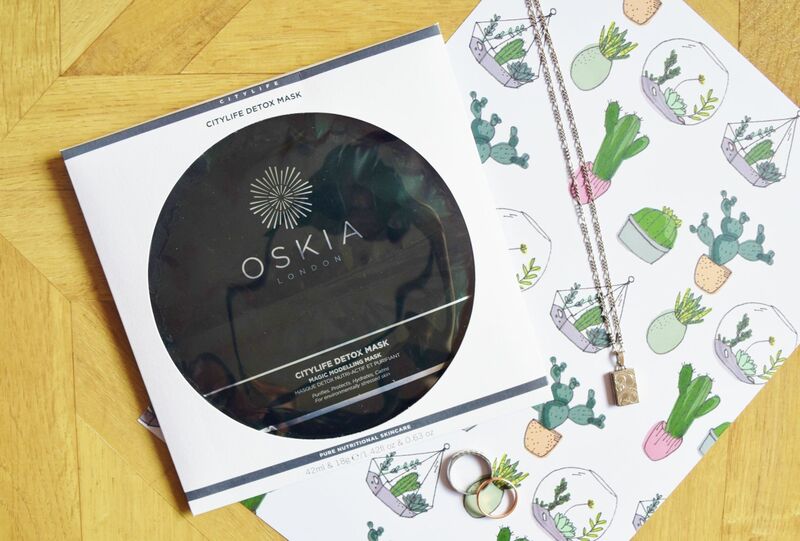 I’ve found this to be a really effective mask at giving your skin a beautiful healthy glow. 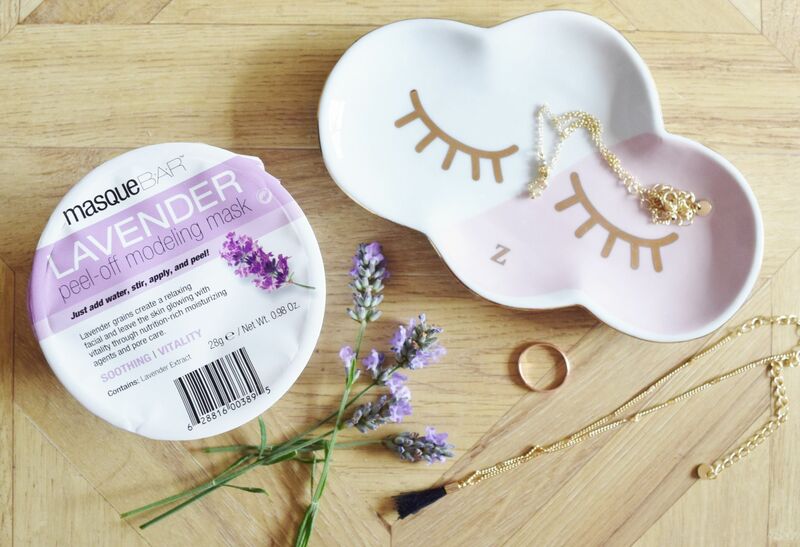 It’s the perfect mask to use on days when you’re not wanting to wear any/much makeup as it will really enhance the look of, and plump, your natural skin. It’s a very reasonable price too. I’d definitely reach for this again. I don’t know how much of an effect this mask would have on correcting skin pigmentation issues long-term, and there aren’t any reviews online. As a temporary brightening fix though, it works well.